State legislators are considering several student-loan bills, including one that would help them keep track of how much money they’re taking out to pay for college. College students have long complained that it’s hard to keep track of how much they owe when they start taking out loans to pay for school. Now, a new bill in the state Legislature aims to make those loans more transparent. The bill, Senate Bill 5022, passed unanimously in the Senate on March 1 and is now in the House Higher Education Committee, where it’s scheduled for a hearing March 21. 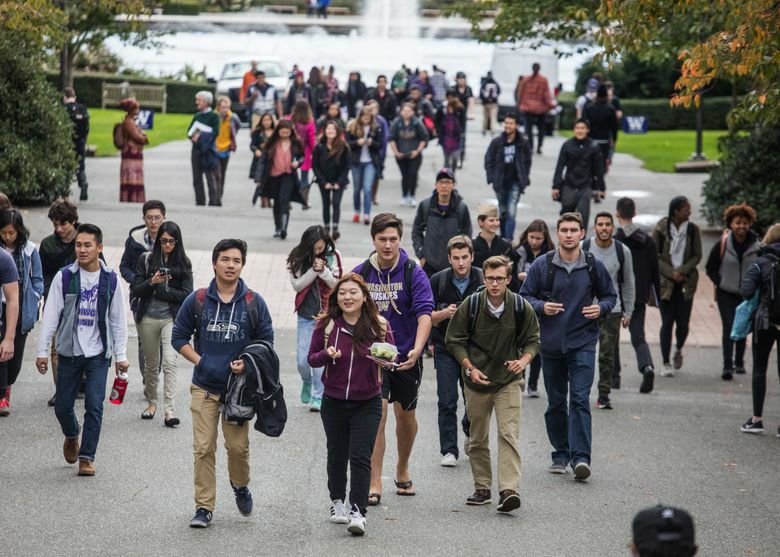 It’s also been endorsed by the Washington Student Association, an organization of student-government leaders on 10 campuses who lobby the Legislature and do grass-roots organizing. The bill, one of four student-loan bills being debated this session, would give college students a snapshot of the total amount of loans they have received so far, tell when the loans will come due and show what the likely payment will be. The bill’s sponsor, Sen. Barbara Bailey, R-Oak Harbor, said college graduates are often surprised by the size of the monthly payment when their student loan comes due. She hopes that being more transparent about the cost will cause students to take a second look at their finances and decide if they really need to borrow money, or if they could find another way to come up with the funds, such as taking a part-time job while attending school. Unlike most other loans, student loans can’t be discharged through bankruptcy, and in the United States more than $1.3 trillion is owed in cumulative student federal debt. In Washington state, the average person with student loans has a debt load of $24,000. Those loans may prevent a recent graduate from qualifying for a loan to buy a new car, or eventually, a first home, Bailey said. “In the long term, this is going to hurt our economy,” she said. Under the bill, the information would be provided by the college the student is attending, and it includes the state’s private colleges and universities. Indiana, Wisconsin and Nebraska have passed similar legislation. Bailey is also sponsoring a student-loan education bill, Senate Bill 5100, that would require colleges to offer seminars to incoming students on loans, scholarships and grants. That bill passed the Senate unanimously and is in the House Higher Education Committee. Meanwhile, the House has passed a student-loan bill of rights, House Bill 1440, at the request of the state Attorney General’s Office. It would create a student education- loan ombuds to help students with complaints about their loans. It also requires student- loan servicers to be licensed by the state, and lays out standards for how a loan servicer should operate. The bill has passed the House and is also now in the Senate Higher Education Committee, where it is scheduled for a hearing Tuesday. Another bill, House Bill 1169, would establish a hotline for student-loan debt and provide more education about loans and how they function. That bill passed the House and it is now in the Senate and scheduled for a hearing Tuesday.